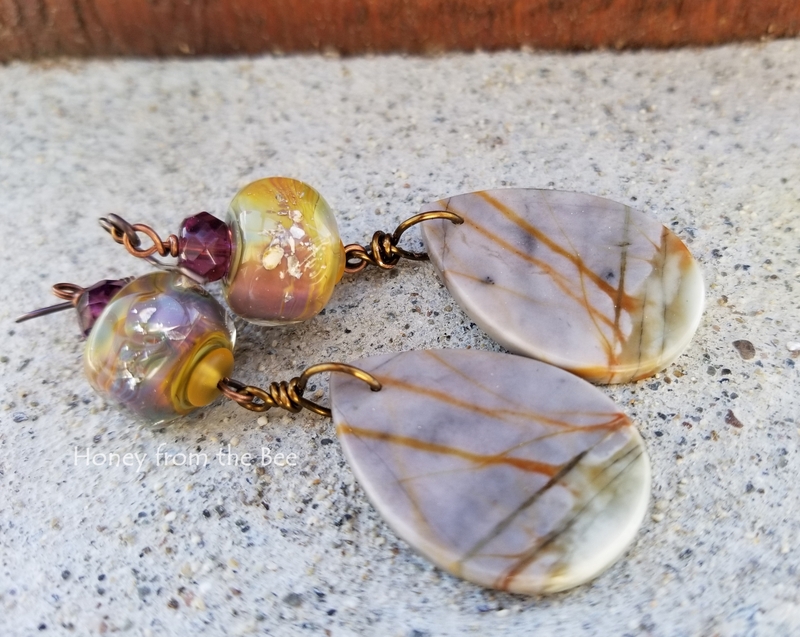 Stunning golden lavender artisan earrings feature some unusual Picasso Jasper and artisan lampwork. I wish I had a dozen more of these gorgeous lampwork beads! 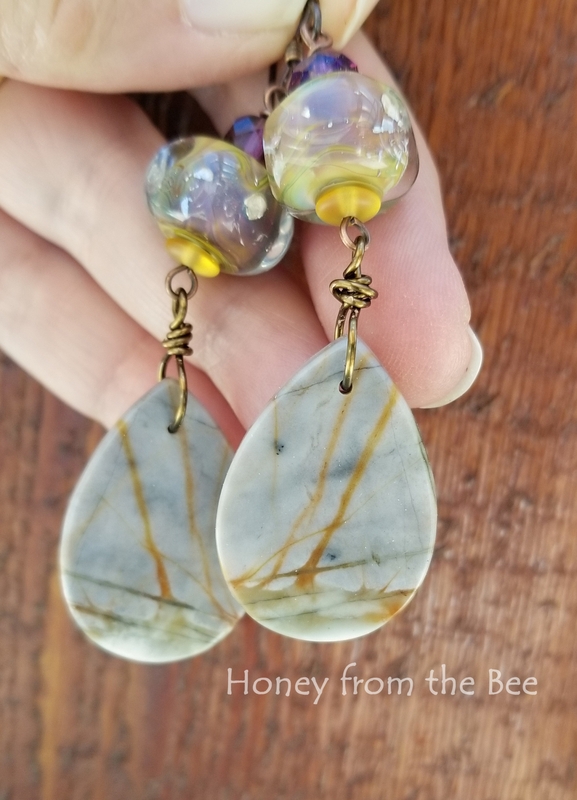 I'm finding they are really beautiful with some of the natural stones in my stash. We'll go with what I've got though! On my train rides east and west I've had a lot of time to enjoy the scenery from the Empire Builder. 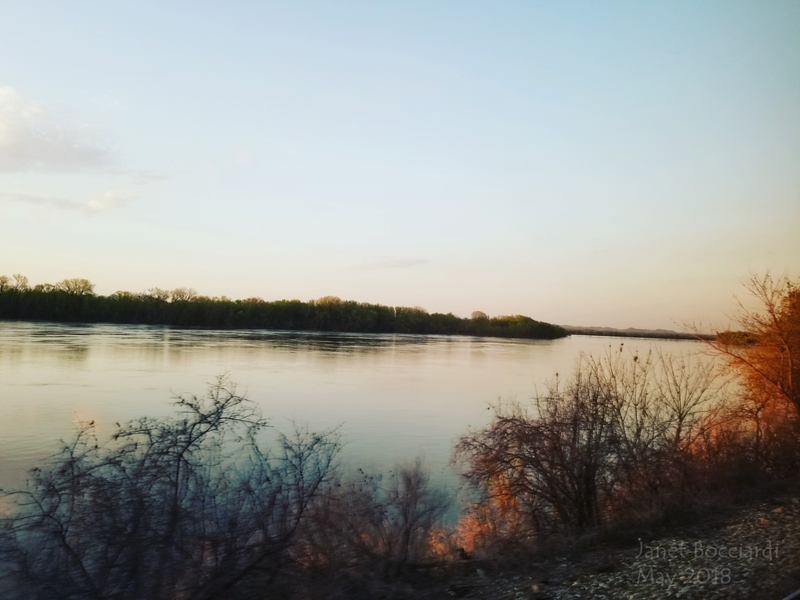 My first trip I felt eastern Montana was so boring after the majesty of the Rockies and the wildlife and water of Minnesota and Wisconsin. My 3rd trip this year had me quite enjoying the emptiness and sameness of the prairies and wheat fields. 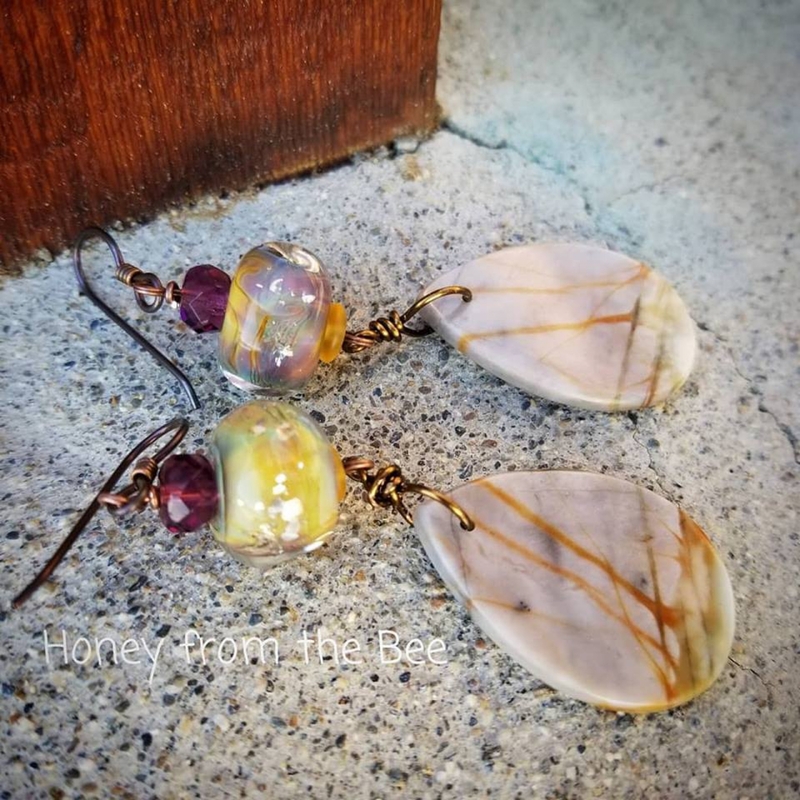 This pair made me think of those meadows, hence the name Meadow Sunrise, but ironically a photo I took of the flooding Mississippi at sunset really picks up the colors and texture in this pair of artisan earrings. 2 7/8" from the top of the earwires to the bottom of the jasper.